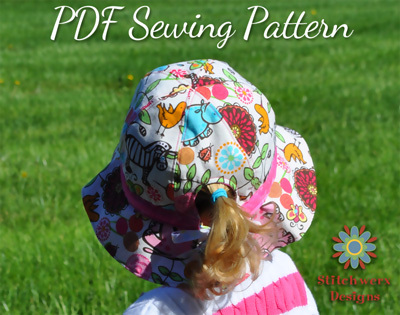 All the beautiful Springtime flowers blooming inspired my latest hat PDF sewing pattern, the Iris Garden Hat. 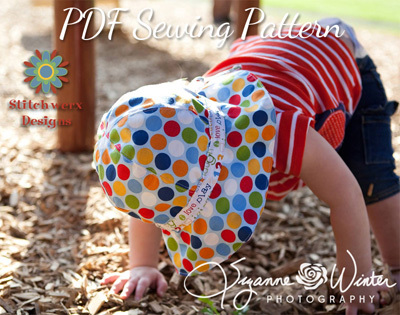 This lovely wide-brimmed hat pattern comes in sizes to fit babies to adults. It’s so easy to adjust with a draw-string tie in the back. Photo courtesy of Suzanne Winter Photography. The Iris Garden Hat is perfect for gardening, going to the beach or any sunny day outdoor activity. Little ones at play are shaded by the wide brim and little ponytails peek out the back opening, specially designed for just that purpose. 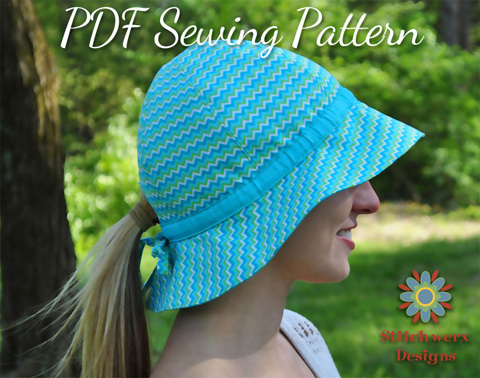 I’m celebrating the release of the Iris Garden Hat with a Sale of 15% Off all patterns in the shop! Use Coupon code IRIS15 to save today through Friday (June 10-14, 2013). 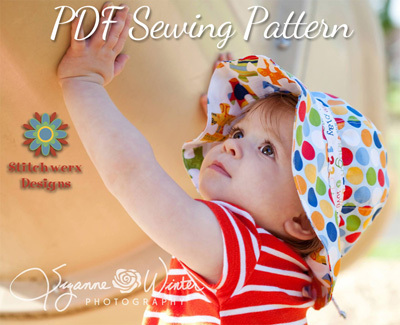 This entry was posted in Accessories, Children, Hats, Kids Clothes Patterns, Sewing, Sewing Patterns and tagged beach hat, beach hat pattern, garden hat, garden hat pattern, hat, hat pattern, hat pattern for babies, hat pattern for girls, hat pattern for kids, PDF hat pattern, PDF hat sewing pattern, PDF pattern, wide brim hat. Bookmark the permalink.